Who needs an excuse to mix up a margarita? We thought so! Get out the Frozen Concoction Maker® and call some friends because it's Cinco de Mayo! While anytime is a good time to escape to paradise, this holiday is the perfect reason to celebrate with food, drink and fun. Here's our classic margarita recipe to serve friends and family. 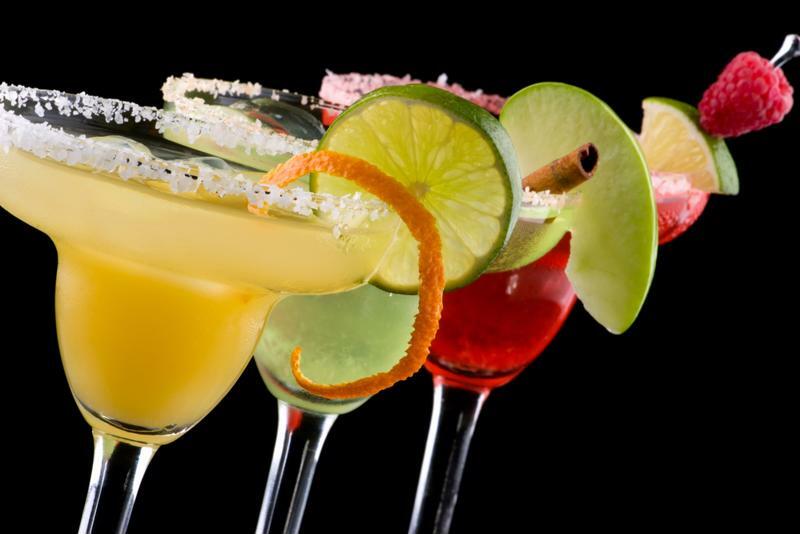 Be sure to stock your bar with plenty of ice, tequila and mixers to keep the party atmosphere going. For guests' hungry appetites, include guacamole, salsa and chips, or try a taco bar complete with everyone's favorite toppings. Whip up a batch of festive margaritas to celebrate Cinco de Mayo. First, add ice to the reservoir of your Frozen Concoction Maker®. Next, add the tequila, liqueur, lemon juice and simple syrup to the jar and place in position. Hit the switch and let the Frozen Concoction Maker® do the rest. While your perfect concoction is blending, get your glasses ready. Cut limes into wedges for garnishes and rim the glasses with salt. Consider adding an extra special Cinco de Mayo twist with a special Mexican trinket or paper flag. The last step is the easiest! Pour the frozen concoction into glasses and enjoy. If you're throwing a Cinco de Mayo-themed party for a few - or a few dozen - friends, you already know what drink you'll be serving. But what about the other party factors? Here are a few ideas to bring your fiesta to the next level. Hold Your Own Pub Trivia Game - From guessing the true origin of Cinco de Mayo to asking questions about tropical destinations, doing a little pub trivia at your party is a great idea. It's a great way for people to get to know each other, compete for prizes and just plain have fun while sipping their concoctions. Mexican Food Buffet - Whether you're famous for your homemade enchiladas or you have a favorite Mexican restaurant nearby, the food is an important part of Cinco de Mayo. Treat your friends to a spread that will fill them with joy and pair perfectly with their frozen margaritas. Set Up Some Lawn Games - Cinco de Mayo isn't just a great Mexican holiday, it's a way to celebrate spring as well. Take advantage of the warmer weather and break out your favorite lawn games from ladder ball to corn hole. And remember: These games are always more fun with a drink in your hand!